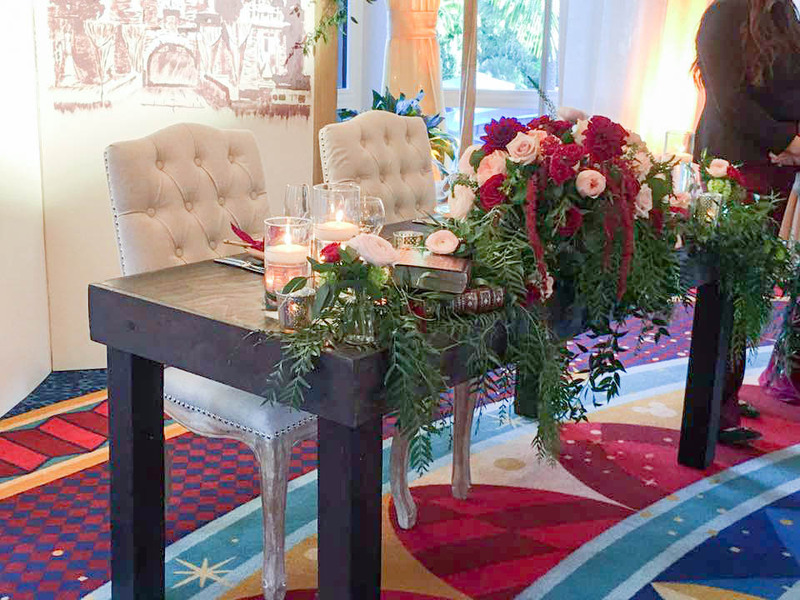 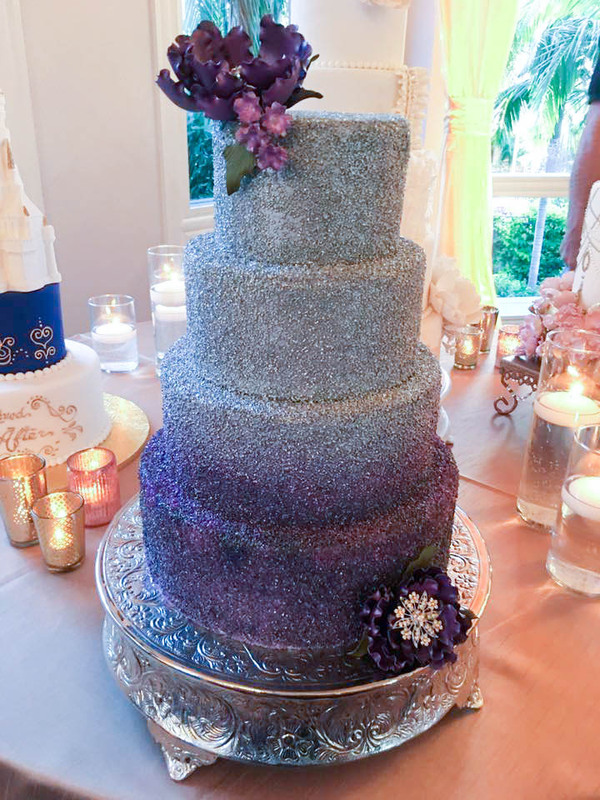 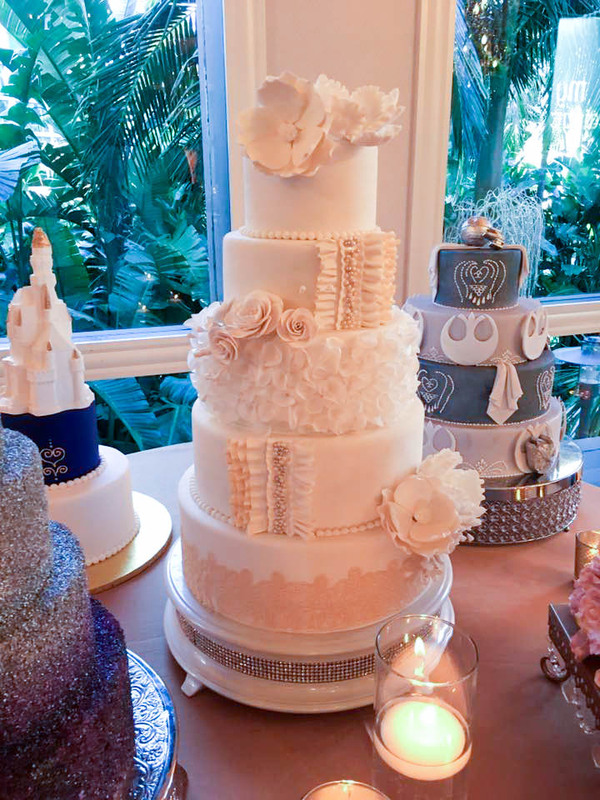 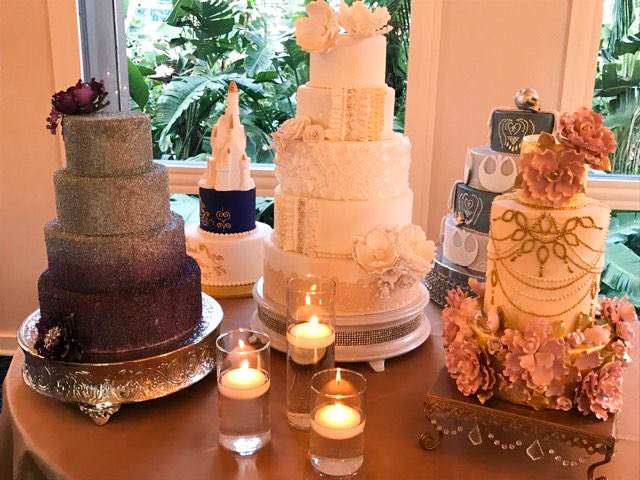 Last week, Disney’s Fairy Tale Weddings hosted the second Disneyland Weddings Open House. 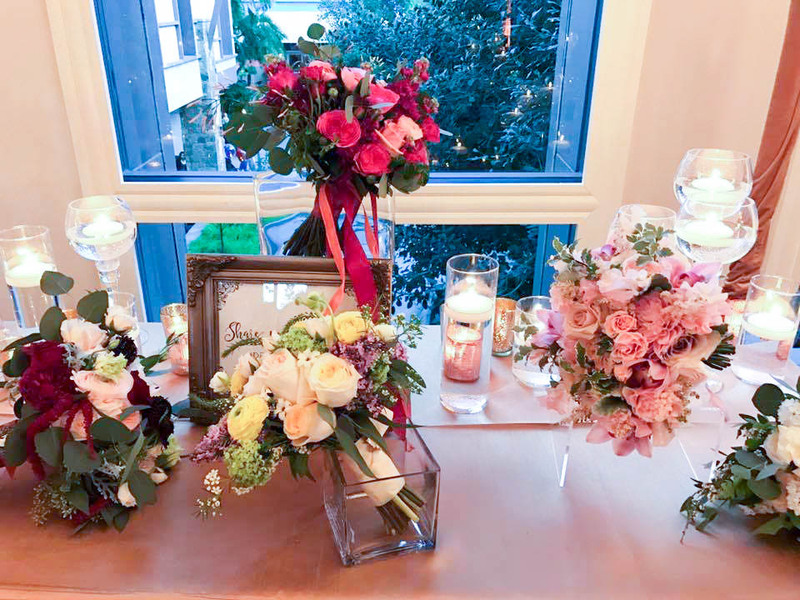 It is looking like this is going to be an annual thing, which is great for all the planning couples out there. 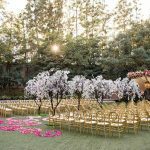 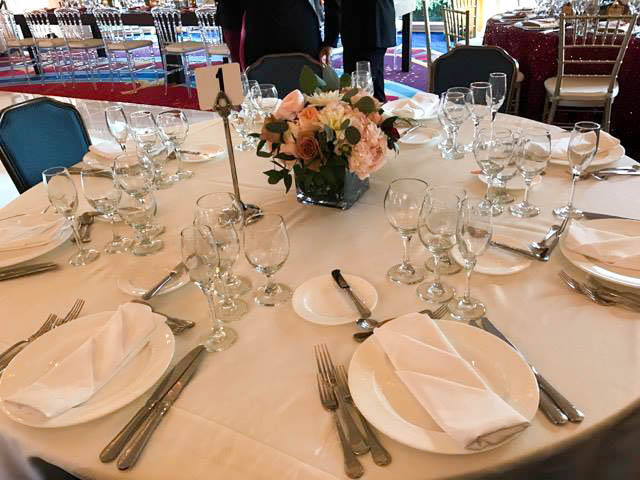 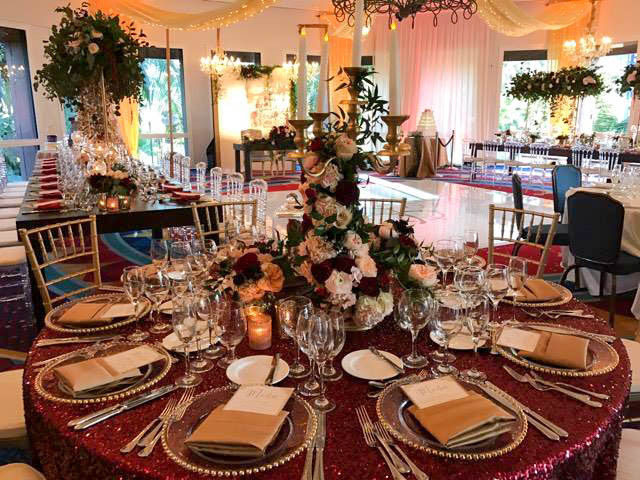 You get to meet with the weddings team, with some preferred vendors, and view some of the premium upgrades available for your reception. 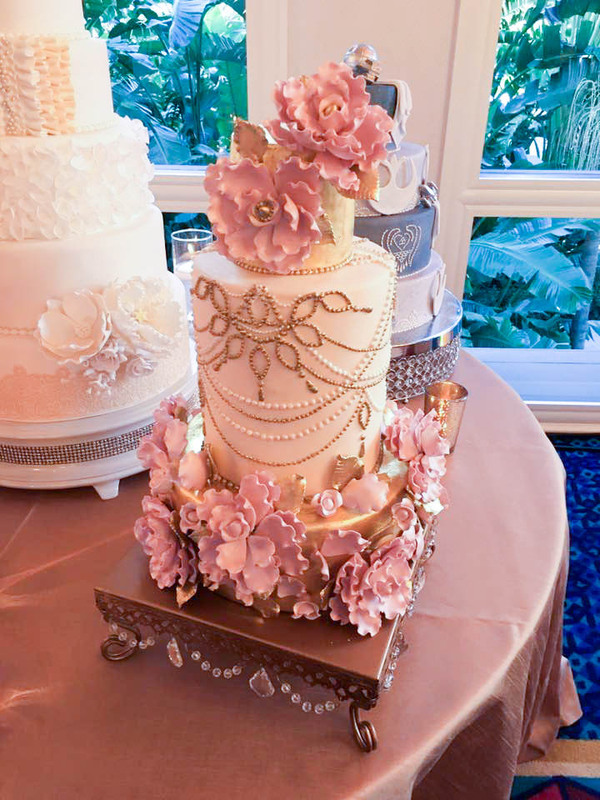 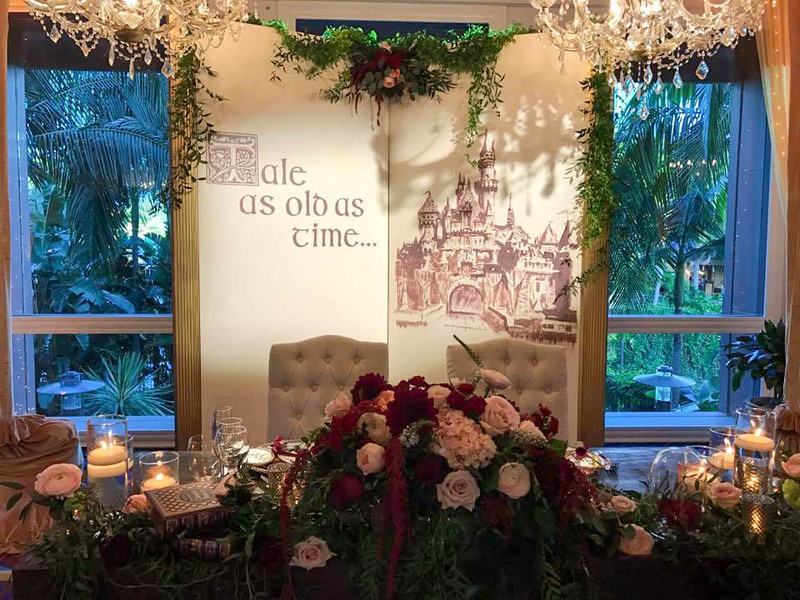 The open house took place in the Sleeping Beauty Pavilion, which is the most popular ballroom for wedding receptions at The Disneyland Resort. 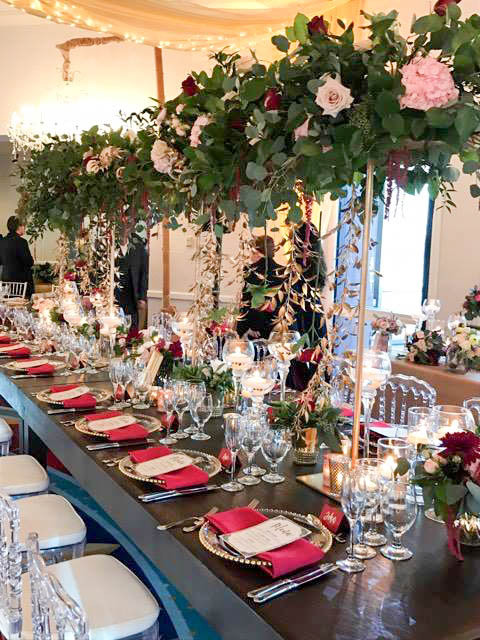 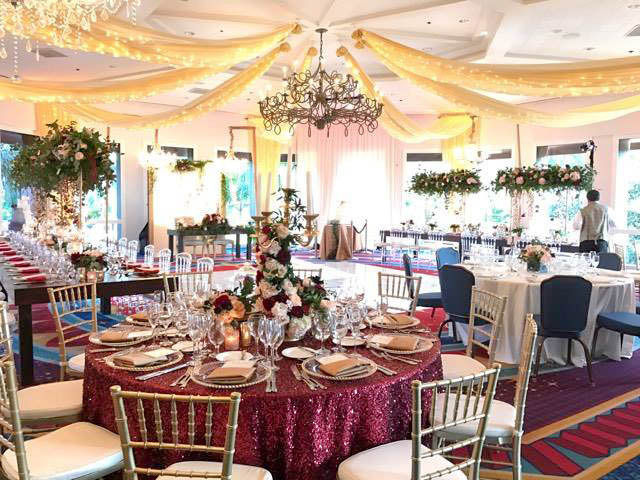 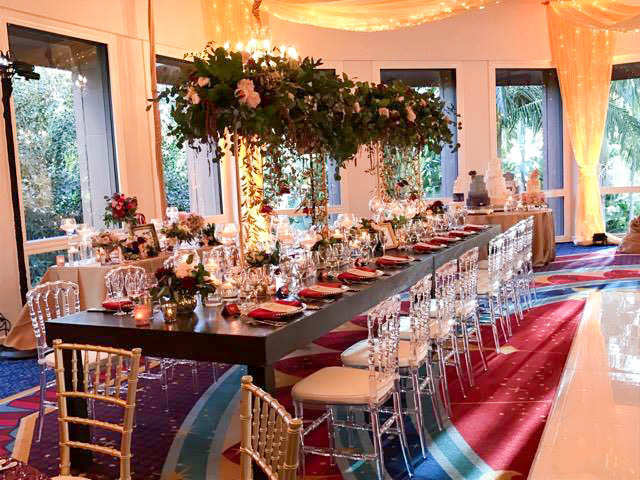 The room is really unique with its centerpiece chandelier, floor to ceiling windows, and octagon shape, making it perfect for tables surrounding a dance floor. 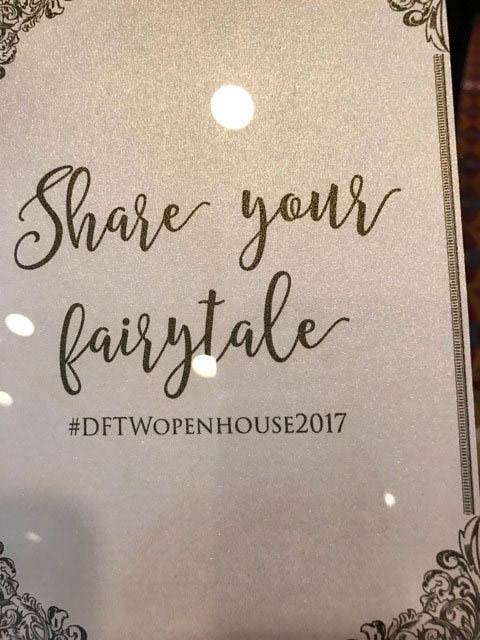 I was very vocal last year about my disappointed that DFTW did not showcase a standard reception table at their Open House. 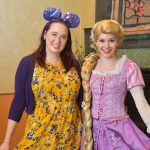 I mean, I get it …. 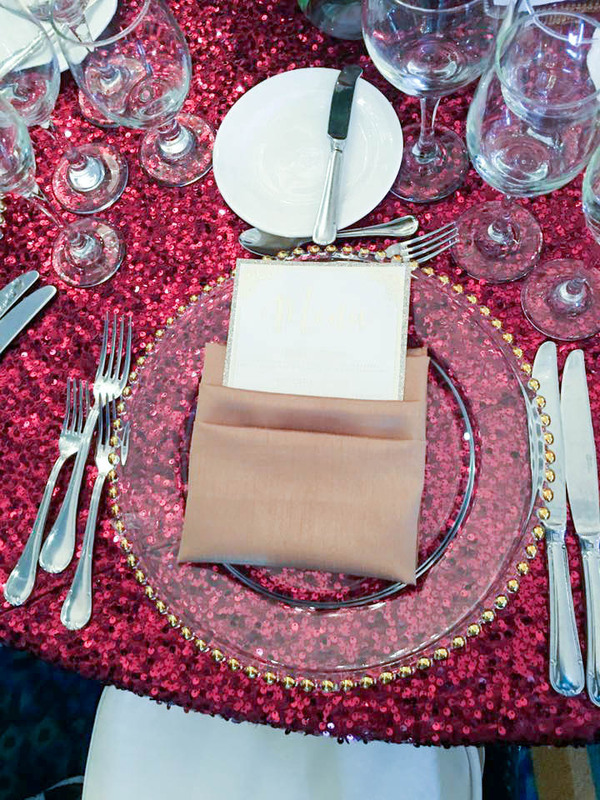 you want to showcase the most stunning upgrades, the best-of-the-best you have to offer. 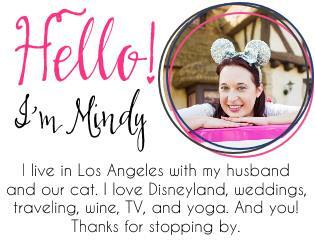 But the vast majority of couples getting married at Disneyland cannot afford those luxury upgrades. 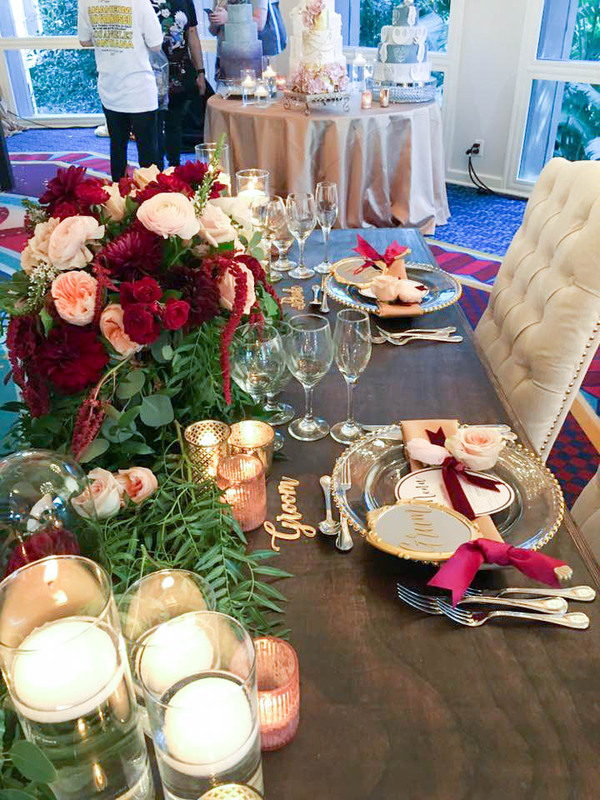 I was annoyed DFTW did not have a standard table on display, with the standard linens and chairs and plates and a simple centerpiece, so couples can see what the standard set up would look like for their wedding. 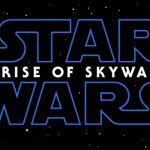 I’m SO glad they did this. 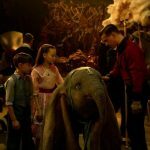 And, I had a number of people send me this image so I guess my complaint was well known, haha. 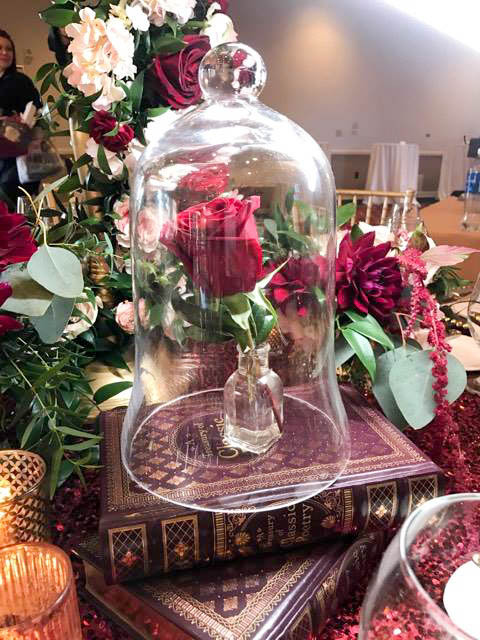 With that out of the way, we can move on to some of the more elaborate and gorgeous displays. 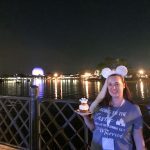 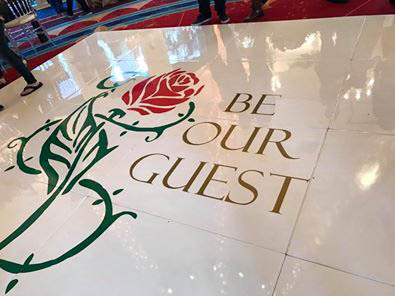 Take a look at the white dance floor and this “Be Our Guest” decal! 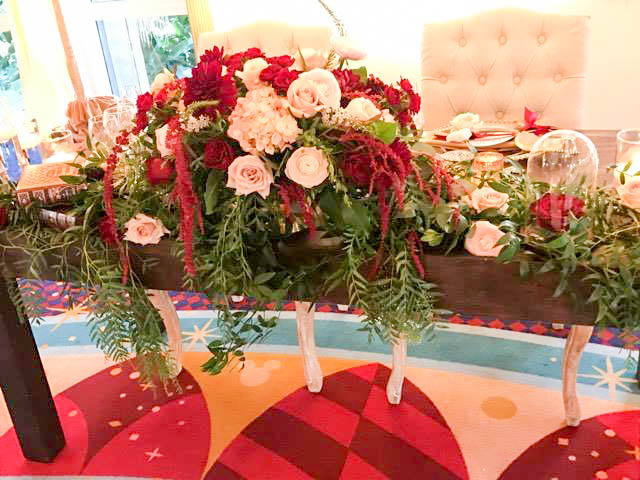 The long centerpiece on this Roman table is absolutely stunning. 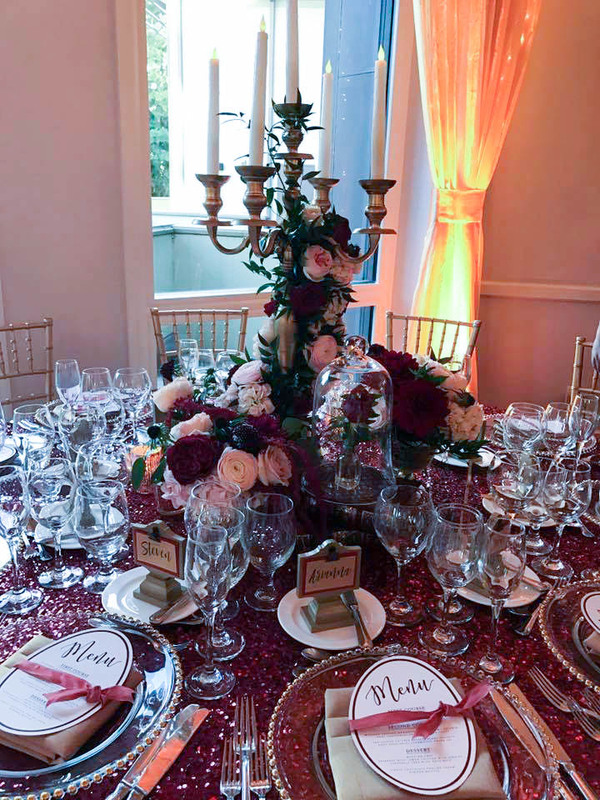 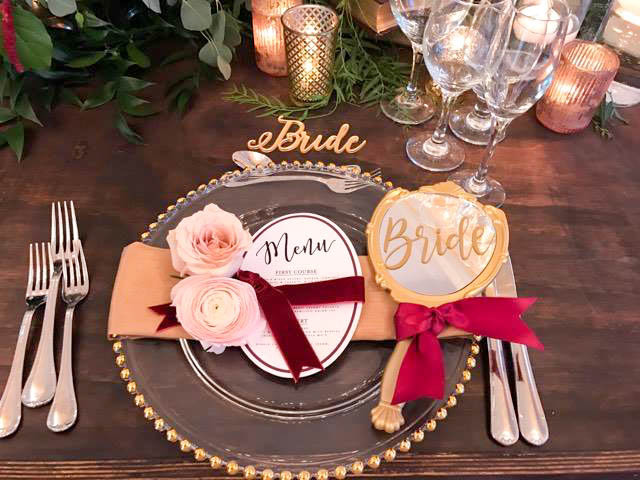 Check out this special sweetheart table set up! 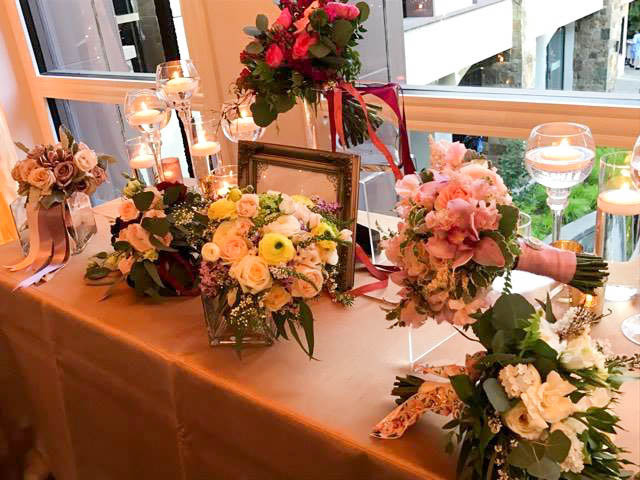 They had a number of beautiful bouquets on display, made by Disney Floral. 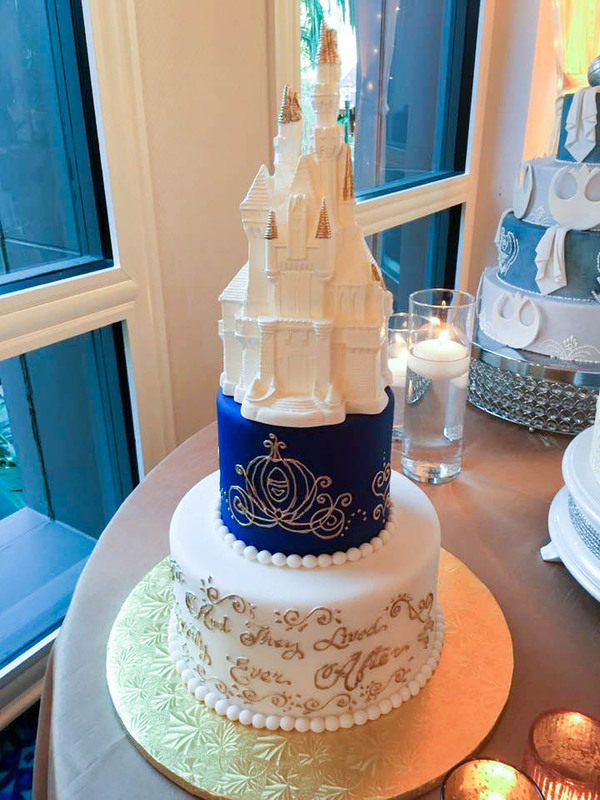 They also had some gorgeous cakes on display, made by Disney Bakery. 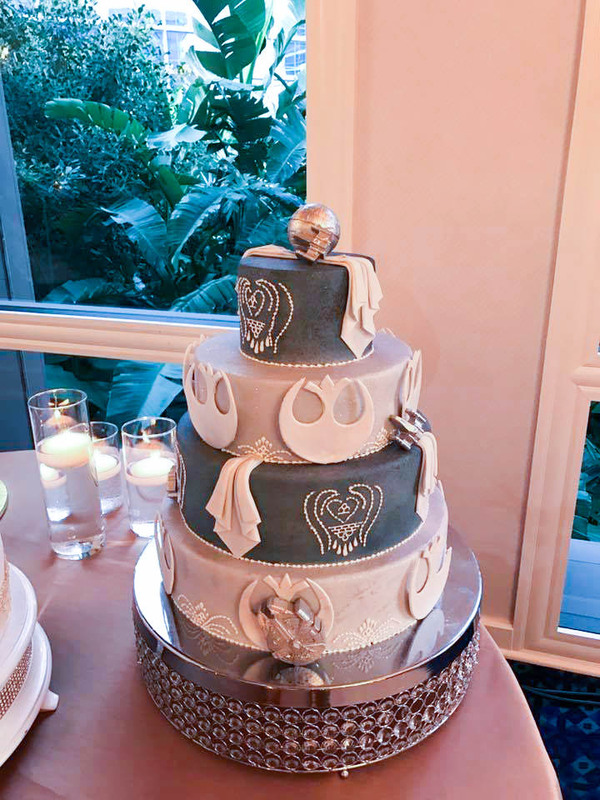 Check out the pretty Star Wars cake! 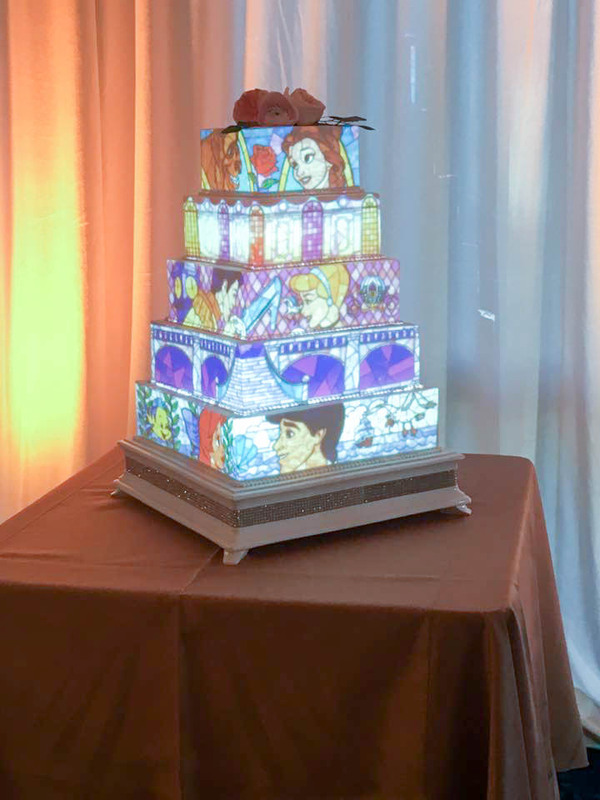 DFTW also had their famous projection mapping cake on display. 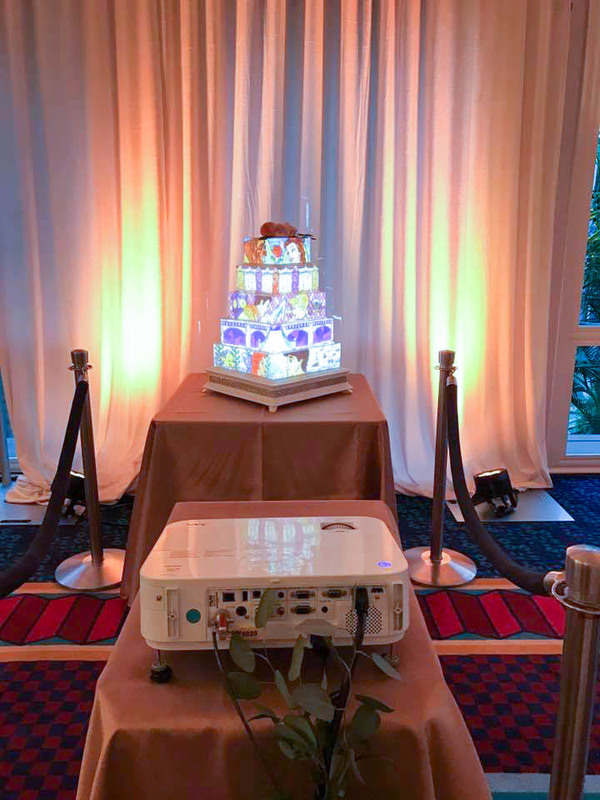 In the second photo you can see how it works, with the projector set up a few feet from the cake. 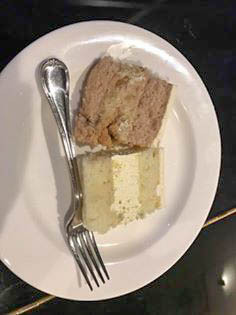 Attendees were able to try two of the newest cake flavors: Dole Whip (Pineapple Mousse) and Churro cake. 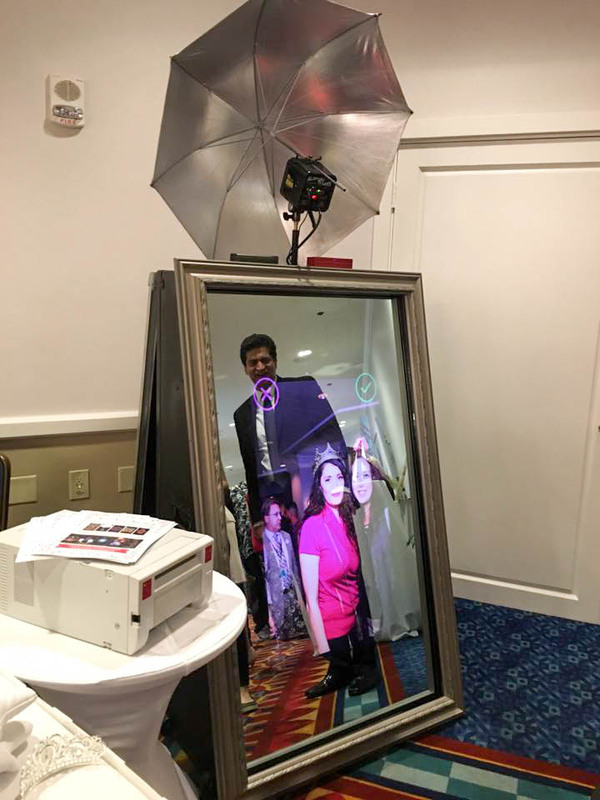 This is a new offering through Disney Entertainment: the Magic Mirror Photo Booth! 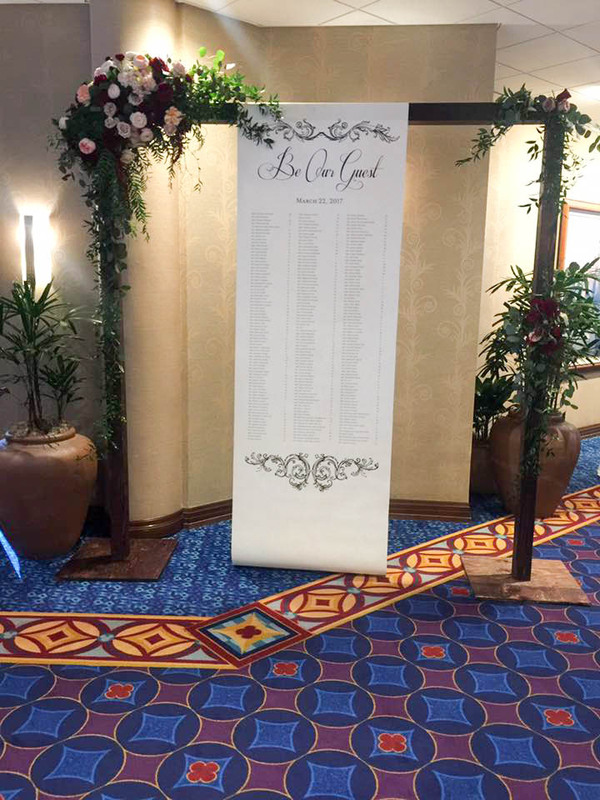 Attendees reported back that this was a LOT of fun! 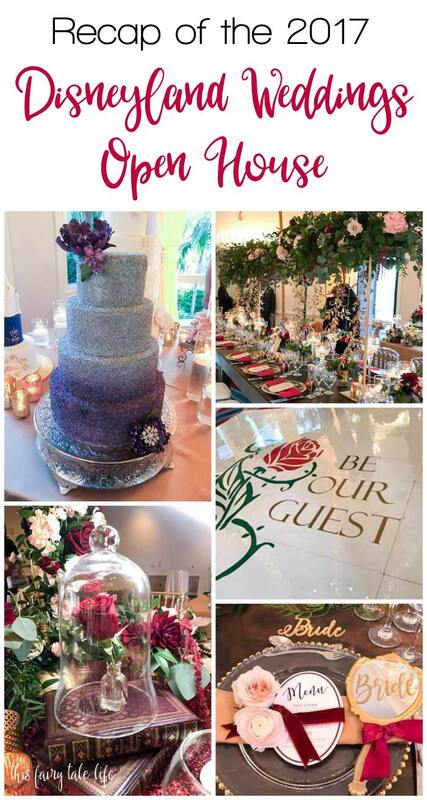 Thank you to all the brides and grooms who took images of this event for me! 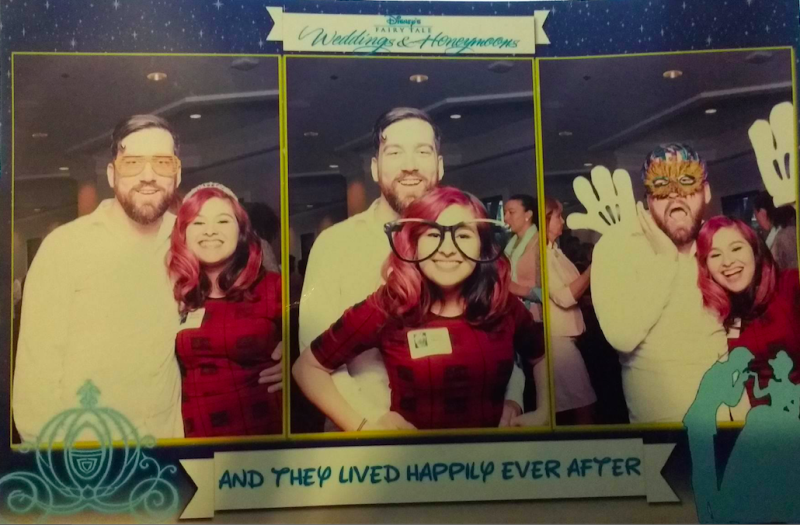 I hope everyone had lots of fun attending this event.